This City of Mississauga aerial photography covers the area of Mississauga. These photos are in colour, and were taken in April of 2014 by the First Base Solutions Inc at a scale of 0.07m and a flying height of 920m. The first aerial surveys of Mississauga were undertaken in 1944. Since then, the city has produced aerial photography every five to ten years until 2002, when it became annual. This data set contains the lower-resolution JPG version of the imagery for view, and a high-resolution ECW version for direct download. It is recommended to use the low-res image considering the size of the high-res version. Metadata was created by the University of Toronto Mississauga Library using documentation provided to Scholars Portal by the City of Mississauga. To establish an electronic dataset of aerial photographs for the city of Mississauga, suitable for reference and mapping purposes. The air photos can be used alone or combined with geospatial data for terrain visualization, environmental monitoring and land use assessment. They also provide a base map that can be integrated with other geographic information to give a rich visual context when studying social, economic or environmental problems. The original format of the raster image are .ecw and .ers. 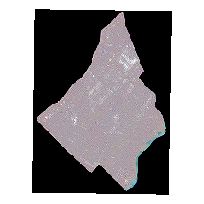 The Aerial Imagery was originally stored by the City of Mississauga in ERMapper ECW format. In most cases, a single orthometric file covers the entire city area. All maps use rectangular coordinate values expressed in metres and based on the 6 degree Universal Transverse Mercator system, NAD 1983. Aerial imagery for Mississauga is available from 1944 to present. Original images from 1986 to 2003 used the North American 1927 (NAD27) datum. No datum information is known for images prior to 1986. Images prior to 1986 were projected to the NAD83 datum by the City of Mississauga.